Courses discounted 10 - 50% off. 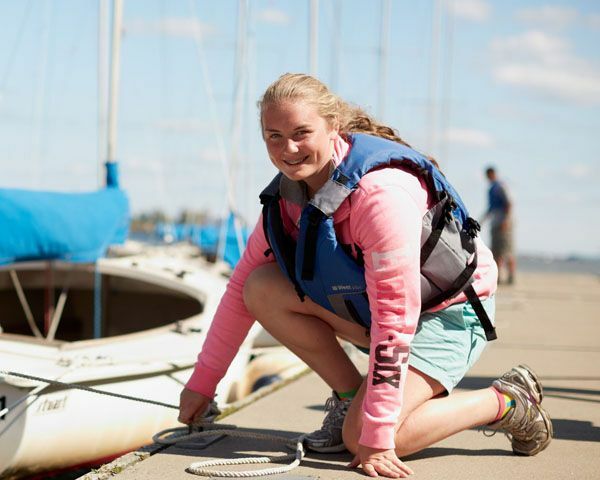 Purchase for yourself and enjoy next summer on the water, or buy a course and help someone you know fulfill a lifelong goal of learning how to sail. A great way to get introduced to sailing. Give as a gift or purchase one for yourself!. This is the best way to learn the basics and then sail at Courageous as a member once you’re ready to sail on your own. All Learn to Sail courses are taught in Rhodes 19's and are suitable for most ages and abilities. The goal of the class is to get you on the water with a red flag rating to practice the skills you have learned. 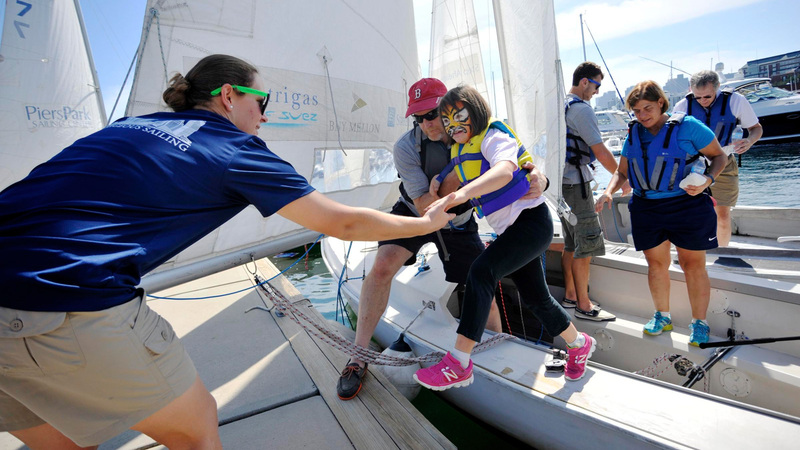 The next step for sailors looking to increase their skills, Courageous offers advanced keelboat and cruising courses. 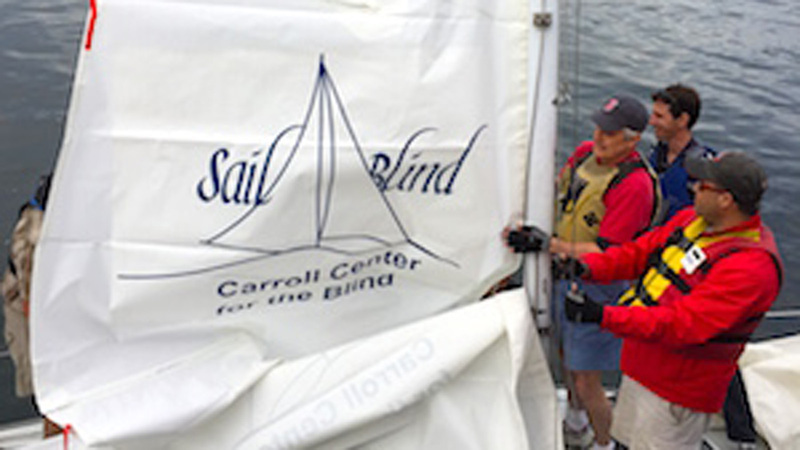 These course goes cover in-depth sail trim, advanced theory, docking and piloting on a larger and faster vessels. Everything you need to get started on cruising! 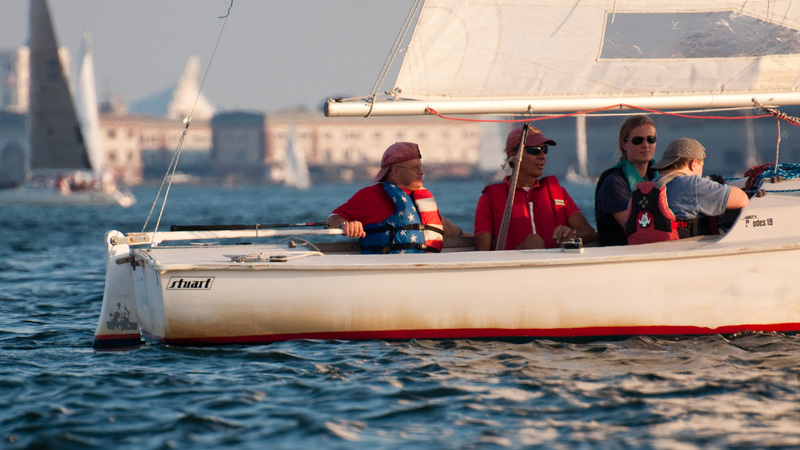 Basic Cruising will teach you everything you need to know to start cruising Boston Harbor and the Boston Harbor Islands. All courses are taught on one of our five cruisers, including our First Mate course, in which our students learn the skills to be a competent and confident crew. Start with the basics and then work your way up to becoming Bareboat certified and ready to take on a week in a chartered cruising boat down south next winter. 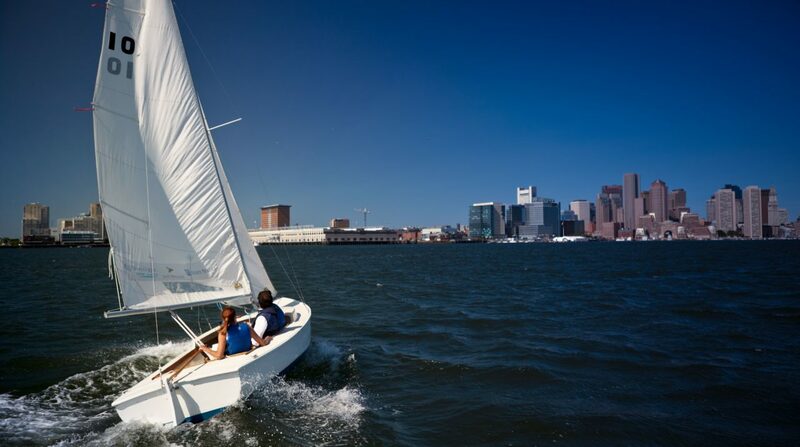 Signup for a Courageous membership and sail one of our boats on Boston Harbor or to the islands whenever you’d like. The year-long individual membership is our most popular option, yet with a 27 boat fleet there is always opportunity to get on the water. The Rhodes 19 is backbone of the Courageous fleet with 27 Stewart made keelboats and counting. Stable and easy to handle, they offer a fun, comfortable sailing experience for sailors of all calibers, from novices to seasoned one-design racers. The J22 is a popular next-step for our members looking for a little more elbow room and offers 7 day/week access all season long. Membership includes access to our R19 fleet ensuring you'll never be left without a way to get out on the water. The J80s provide a versatile platform that is easy to sail, stable and fast. The J80 has a very large cockpit, a high boom, a roller furling head sail, and can comfortably accommodate 6 adults. With excellent light air performance, as well as a 1400lb keel to provide stability in higher winds, the J80 is a modern performance boat that is as comfortable on a harbor cruise as it is rounding marks on a race course. Purchase a course and membership package to get ready for the upcoming season. Packages are available for certain courses and membership combinations and can save you hundreds of dollars off the full price. Learn to sail in two weekends and then enjoy an individual, full Rhodes 19 membership for the rest of the season. Complete the second half of the Learn to Sail course and then enjoy an individual, full Rhodes 19 membership for the rest of the season.